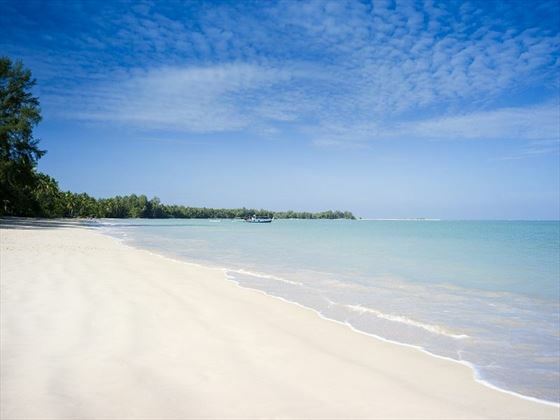 The ultimate Thai holiday, starting with some relaxation on the tranquil beaches of Khao Lak where you can completely unwind for 5 nights. Then it’s on to the Khao Sok National Park for an experience you will never forget. 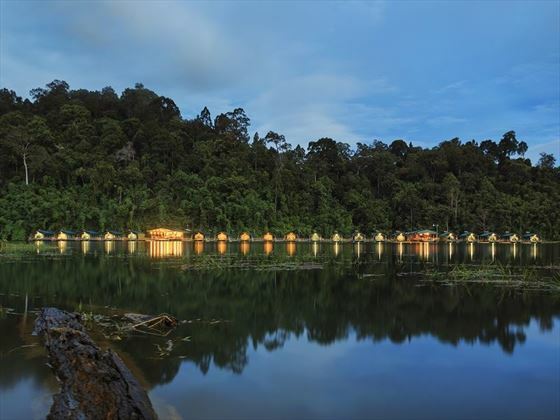 Stay in two separate luxury tented camps, one night in the heart of the rainforest and one night in a floating tent on a deserted lakeside. 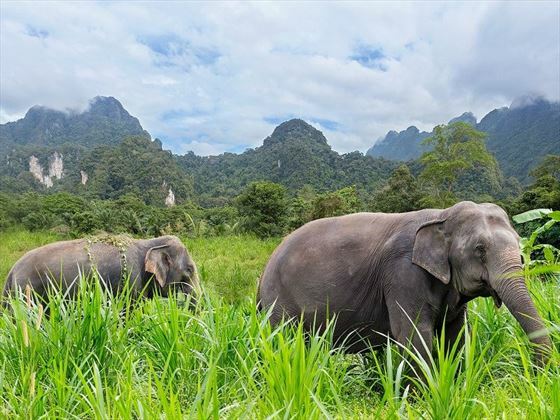 Your two days in the jungle interior will include canoeing, jungle trekking and a chance to help to take care of the adorable elephants at Elephant Hills Rainforest Camp. 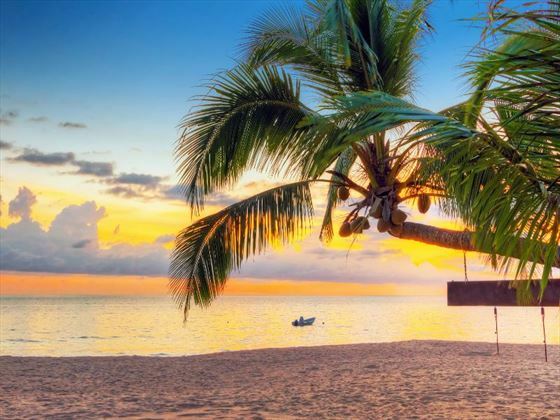 After all this excitement, you’ll need another rest on the beach so we’ll whizz you over to the idyllic island of Koh Samui, for another 5 nights before heading home. 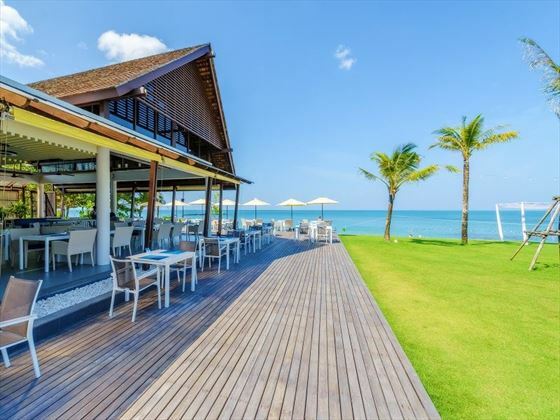 The Sands is right on the beach in Khao Lak with a spa, nine swimming pools and spacious rooms that work well for couples and families alike. 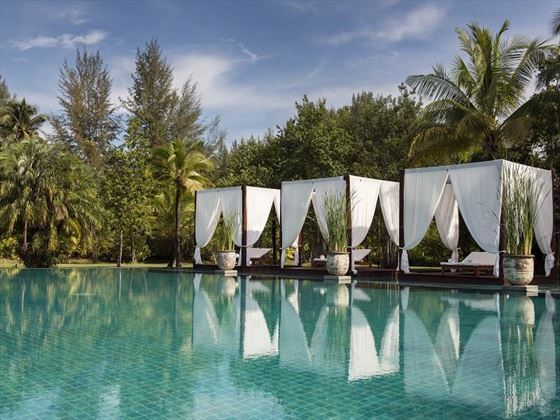 Amari Koh Samui is a newly renovated gem in the quieter northern end of stunning Chaweng Beach, with easy access to the bars, restaurants and markets of Chaweng. 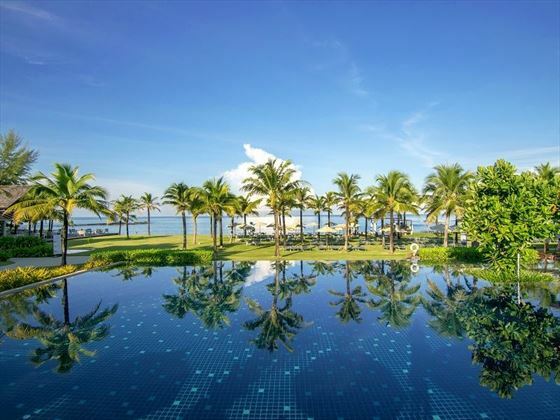 This is a popular honeymoon itinerary and ideal for any special occasion or once-in-a-lifetime trip; if your trip is one where no compromises should be made, then take a look at our Platinum upgrade hotels in the accommodation tab. 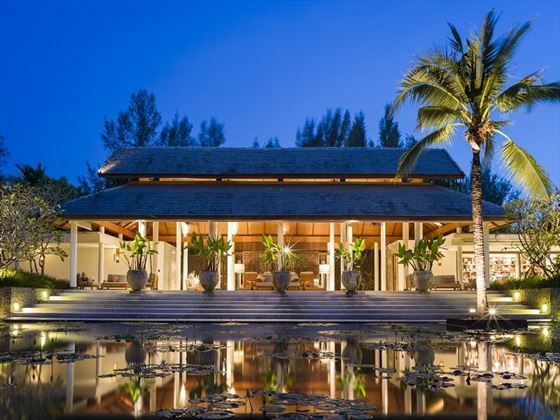 The romance of the idyllic Sarojin, Khao Lak and a unique hideaway at Six Senses Samui combined with the Elephant Hills experience is a dream holiday that will stay with you long after you get home. 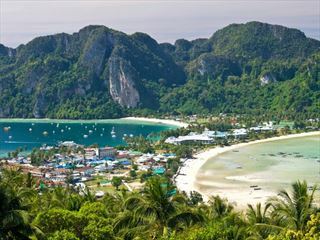 Prices for this Platinum multi centre start from £2,399 per person including all flights and transfers. Both of these combinations are simply recommendations based on our experiences; contact us for a tailor-made quote and we can combine different hotels or a different number of nights in each destination - our travel experts will tailor a quote specifically to your needs (TM). 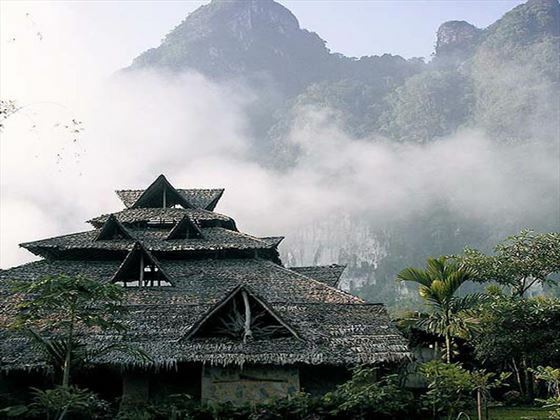 After breakfast you will be picked up and taken into the heart of the Khao Sok National Park to the Elephant Camp. 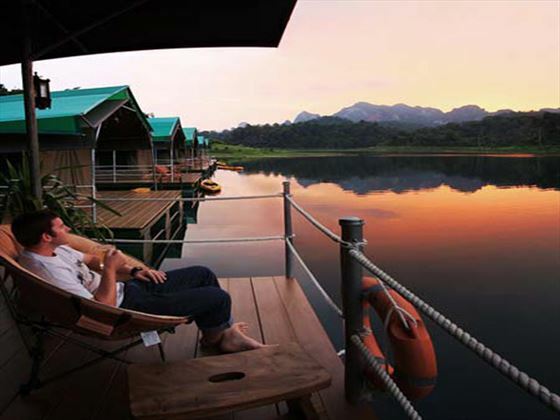 Your home for the night is a luxury tent with double bed and en suite facilities in the heart of the rainforest. 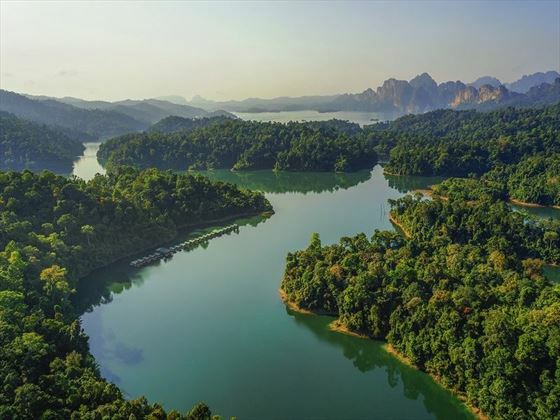 This afternoon you'll enjoy a canoe safari down the Sok river (don't worry an oarsman will do all the hard work) and see some of the natural wildlife, stunning scenery and local river village life. 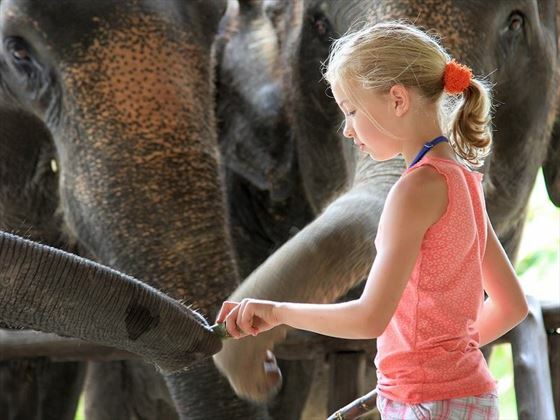 You'll also get a chance to interact with the adorable resident elephants, learn all about the conservation of these majestic creatures and get a chance to help feed and bathe them. 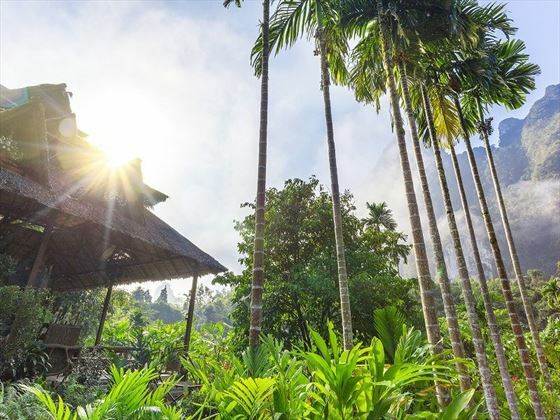 Afterwards return to camp where you can take a dip in pool, watch a cookery demonstration or learn more about the elephants and the work of the passionate Elephant Hills team. 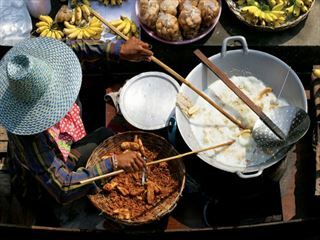 Today you'll visit a local market in the morning before taking a long tail boat ride on the Cheow Larn Lake which is simply stunning. 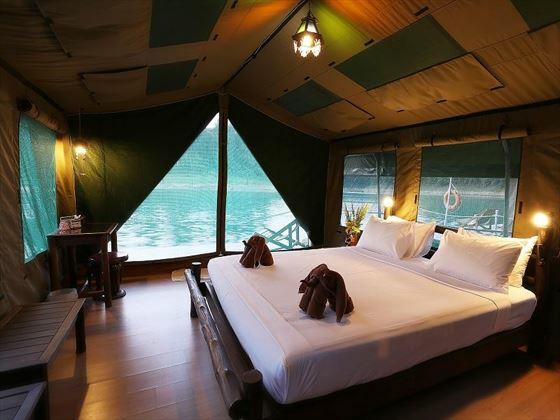 After about an hour's ride you will arrive at your home for the night - a row of ten luxury tents floating on the lake, again with proper double beds and en suite facilities, each tent also comes with it's own wooden sun deck, loungers and a pair of kayaks! 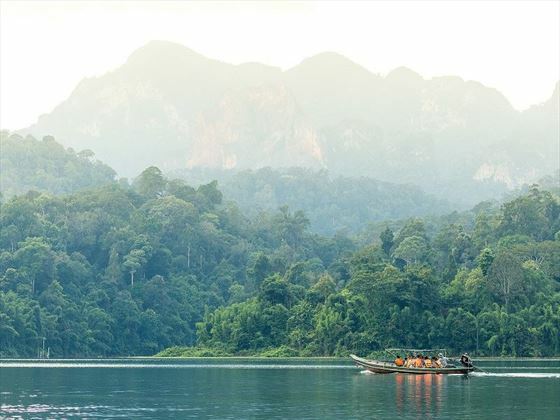 The rest of the day can be spent swimming in the warm waters of the lake, exploring on your kayak or joining the guides on a guided jungle trek to spot monkeys, birds and other forest inhabitants. 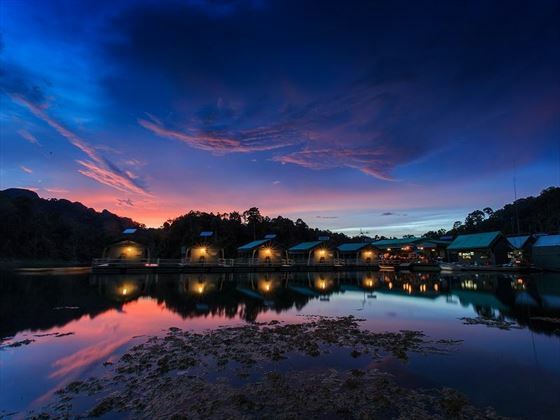 This evening, enjoy the peaceful tranquil and witness one of the most stunning starry skies you'll have ever seen in your life. 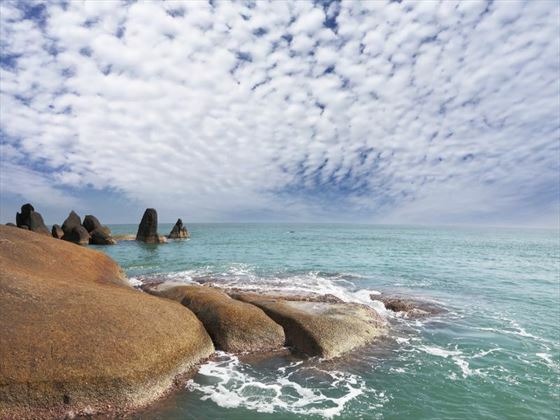 This morning you can join the guides on a kayaking trip or enjoy the tranquillity of your surroundings before being taken back to shore after lunch and transported by road and ferry onto your next stop, the beautiful island of Koh Samui in the Gulf of Thailand. 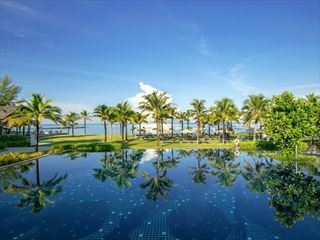 Spend the last 5 nights of your holiday on the Thailand’s third largest, and one of its most celebrated beach destinations. 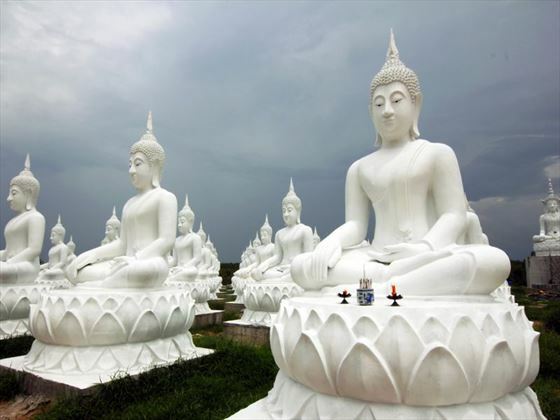 Koh Samui is famous for it’s white-sand shores lined with palm trees and clear green waters. 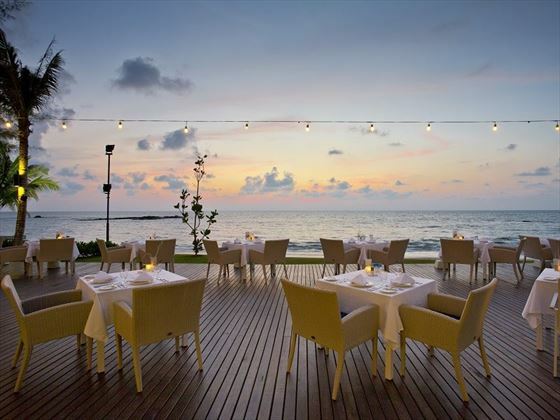 Along with its many great towns, beaches and natural resources, Koh Samui also has plenty of fabulous dining and entertainment. This multi centre is not suitable for children under 10 years of age. If you wish to book a similar family holiday please enquire and we can suggest alternative hotels in these locations. 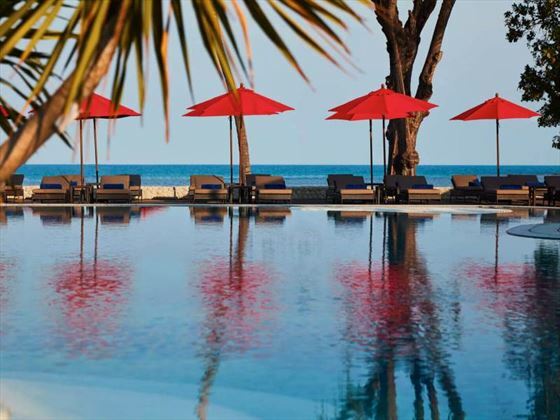 Special discounts Stay at The Sarojin between 5 May - 16 Jun or 8 Jul - 20 Oct 19 and receive between 20 - 40% off your accommodation - saving you up to €560. Book by 31 May 19. 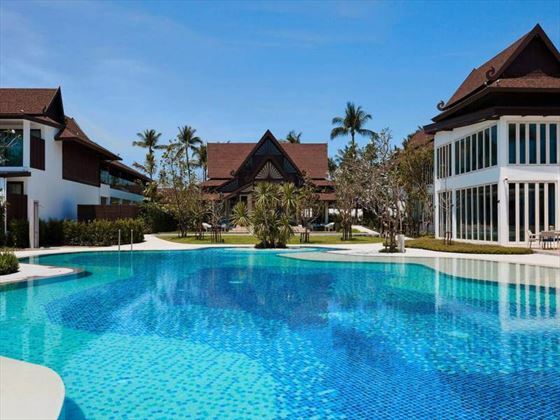 Applicable to Garden Residence, Pool Residence, Jacuzzi Pool Suite or two bedroom Pool Residence. 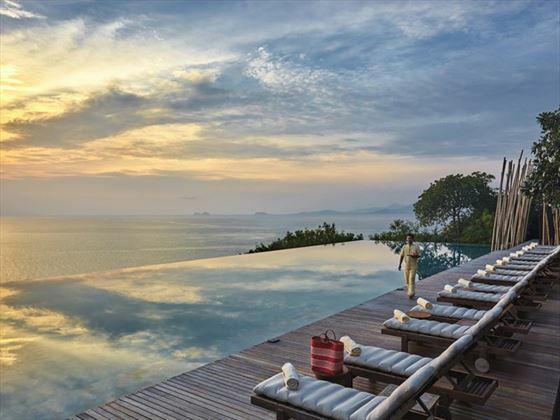 Save up to 40% Stay at Six Senses Samui between now - 30 Jun 19 and receive 20% off in a Hideaway Villa or 40% off in any other room category. 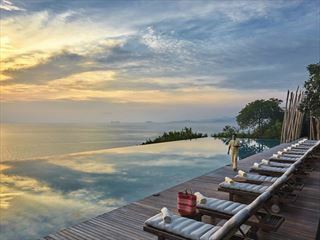 Saving you up to £300pp. Discount is included in prices shown. Date restrictions may apply. 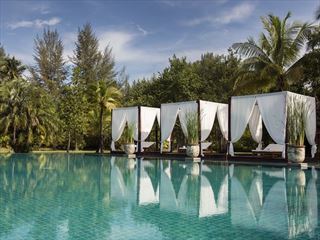 Stay 10 Pay 5 Stay at The Sands Khao Lak for 10 nights between 1 Apr - 31 Oct 19 and only pay for 5! Not applicable to Two-bedroom Teen Suite. 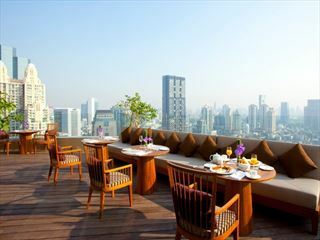 Breakfast is chargeable daily on free nights. Further reading: The Sarojin is featured in our guide to the top 10 romantic getaways in Thailand. 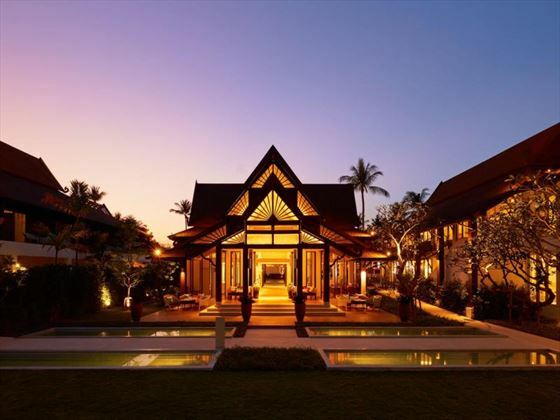 Amari Koh Samui is a charming Thai-styled beach resort that reopened in 2016 after a full renovation, unveiling a sophisticated and stylish hotel sitting on a quiet stretch of Chaweng Beach in Koh Samui. 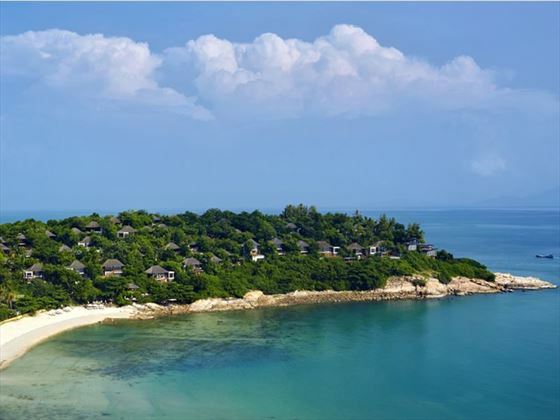 Set across three wings and boasting excellent facilities, this is a fantastic base to experience this stunning island.